Even before I started working for TSheets last October, I’d already developed an idea of what the company stood for on a community level. Their reputation for caring and giving back preceded them, thanks to events like the annual company-hosted 5K and Matt Rissell’s participation in Dancing With the Stars of the Treasure Valley, benefitting the American Cancer Society. Therefore, I was only a little surprised — and a lot grateful — when TSheets agreed to donate over 400,000 air miles to a cause close to my heart, as part of Make-A-Wish Idaho’s Wishes in Flight campaign. That’s just the kind of place this is. When TSheets officially joined the Intuit family in January, that community mindset only grew. Intuit has an initiative that supports employee giving, matching every donation, up to $5,000 per employee, per fiscal year. Intuit also gives employees 32 hours of PTO a year to spend on volunteering. Here’s a picture of our TSheeters on the clock, cycling to break the cycle of child abuse this spring. And even more TSheeters in the kitchen at the Boise Ronald McDonald House! But beyond being a company that gives back on an employee level, why might TSheets be a great fit for nonprofits seeking a time tracking solution? Did you know TSheets actively serves over 1,070 nonprofit clients already? From humane societies to wilderness conservation leagues to foundations for medical research and more, these amazing organizations and their users are tracking their time in TSheets. Just what are they doing with all that time? We thought we’d ask them. So we searched our client lists to find a couple nonprofits, and we gave them a call. Here’s what they said. A small portion of one nonprofit’s time log. You can see they’re in the process of applying for grants and taking care of business as usual! The mission of the Boys & Girls Club is “to enable all young people, especially those who need us most, to reach their full potential as productive, caring, responsible citizens.” The Boys & Girls Club works non-stop to provide “a safe place [for children] to learn, play, and grow” with help from community mentors and enriching programs. The Boys & Girls Club of Topeka has 10 locations with 120 employees during the off-season and 175 during peak seasons. With so many people in different places, they needed a time tracking solution that would work everywhere their employees did. Neal has already recommended TSheets to a couple of the Boys & Girls Clubs in Kansas. “A lot of them are using outdated systems, and nonprofits are notoriously understaffed, so any way they can speed up their processes is worth it,” she said. Kathy Murphy is the office manager of Ross County’s United Way. While her office only has six employees, she says they’ve experienced a tremendous amount of value from using TSheets. When an employee is at a location, whether it’s a one-time fundraiser or an annual campaign, the employee is able to clock in using that particular job code, in tandem with whatever role they’re doing at the event. “That way, when we’re tracking time, we can figure out who’s doing what — whether it’s a fundraising expense, an administrative expense, or a program expense,” Murphy said. As for specific features, Murphy said she loves the GPS location tracking that TSheets offers because it makes it easy to see where employees are throughout the day — a handy tool when employees are going offsite for those fundraising events! She also appreciates the down-to-the-minute accuracy TSheets offers. No more estimating clock-in times or how much time was spent on a certain project after the fact. TSheets is proud to offer nonprofits 20 percent off their month-to-month subscriptions. With a broad range of features designed to make it easier than ever to run payroll and stay organized, TSheets by QuickBooks is more than a time tracking solution — it’s a time-saving solution! As a busy nonprofit, you’ve got bigger items on your to-do list than dealing with paper timesheets. So go out and save the world, and leave the time tracking to us. 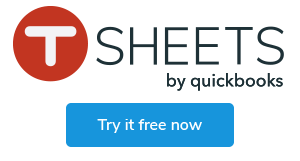 Nonprofits get 20% off monthly TSheets subscriptions. Start tracking time and accessing reports your nonprofit needs to thrive. Could Drones Take the Construction Industry to New Heights?